You’ve set up all of your social media accounts and are ready to go. Now what? 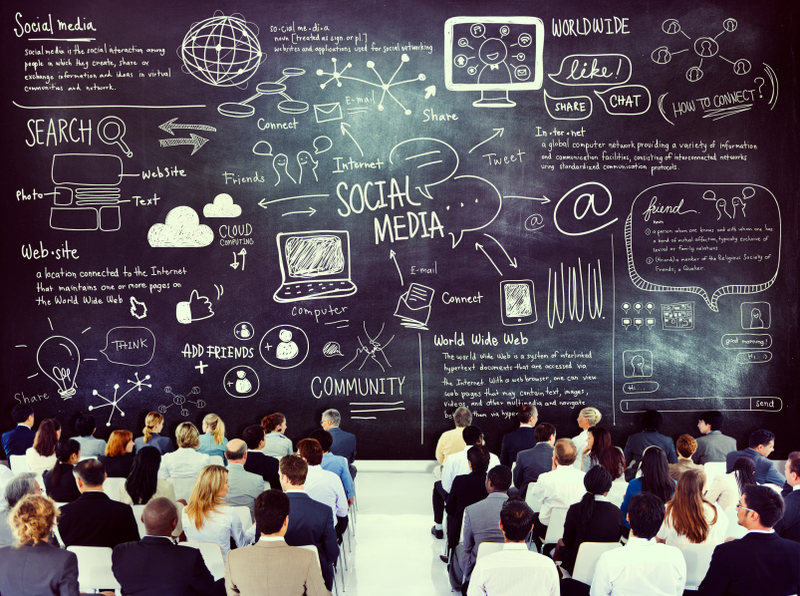 How do you use social media to find your future customers? 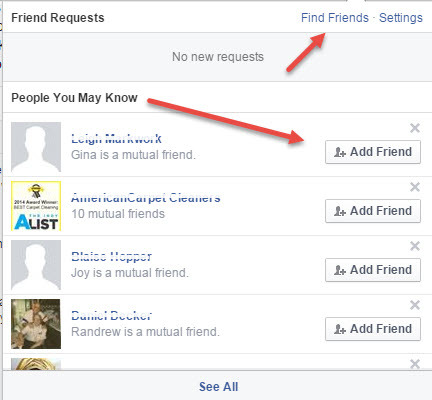 It’s not as simple as adding friends and followers like you would to your personal page. Or is it? The real answer is that it is easy to find your niche on social media as long as you have a plan and are willing to do a little bit of work to get started. If you want to use social media to gain business then you have to make it work for you. You can have all the followers and friends that you want, but if you aren’t reaching the right people, all the work you are doing is for nothing. Below are six things you can do to find and engage with your target audience. An easy way to be found by others who would not normally follow you is to use hashtags. On social media, a hashtag is a pound sign with a word or words following with no spaces. Using these signs turn the words that follow it into a direct link that is searchable. When someone wants to see posts that are related to that topic, they can search the hashtag and all posts with that hashtag are displayed. This is a good way to get your name out there, especially if you hashtag currently trending hot topics that are getting a lot of traffic. If you add value to the conversation, chances are you’ll get more followers. And if your industry has hot topics, it’s another great way to join the conversation. 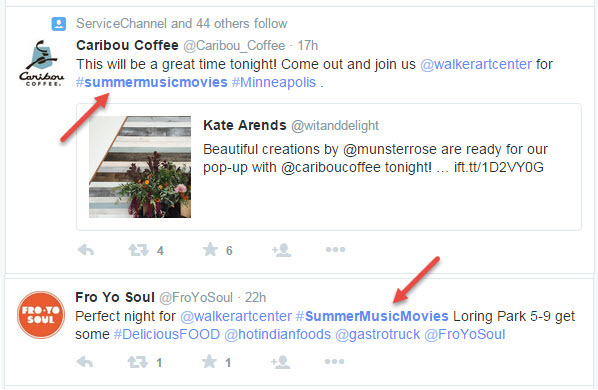 Here is an example of a coffee shop and an Indian restaurant taking advantage of the hashtag #SummerMusicMovies. This is a summer event in Minneapolis that people tweet about. The two businesses will have a tent and food truck there so they’re sure to get more followers from their tweets. These @mentions are a way of connecting with a person or brand personally. By tagging them, you are notifying them of your post and directing them to see what you’ve written. This is a great way to get big businesses to retweet or share your posts, giving their followers the direct path to your social media page. If the brand does retweet your post, you could possibly be exposed to tens of thousands of people, without any further work from you. It’s easy marketing when done right. Additionally, it’s a great tool when directly connecting with your customers. It is personal and gives them the human element in your business. Here is an example of an article that was re-tweeted by John Jantsch, who then tagged @kcwebsites. This gave @kcwebsites a lot of exposure to John’s list of around 100,000 followers. If you don’t want to tag or hashtag a brand or topic, an indirect mention can still give you organic followers. Many times when you search a keyword, any post with that keyword is displayed. It is not going to give you the exposure that tagging or using a hashtag does, but it will still get your posts out there.Much in the same way that that indirect mentions can be searched, so can industry keywords. If you are posting about something that is going on that is a hot topic but a hashtag may not be appropriate, you can still gain organic followers with that keyword. Staying on top of trends in your industry and posting about them is extremely important in showing your knowledge and passion for the industry. The more you show that you know, the quicker you will be considered and expert in the field and you will grow your business faster. Think about the people who may be interested down the road but are not your direct customers now. Based on your posts and showing you are an industry expert, they may come back in a few days, weeks or months and become a customer. 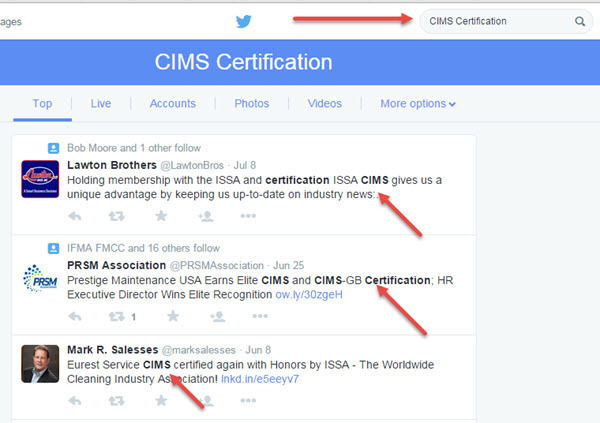 Here is an example of a Twitter search for CIMS Certification, a designation for the cleaning industry. Twitter automatically finds people talking about the topic in their tweets. This one isn’t as easy as the others and can’t just be done by posting. This one takes some analytical skills. One of the best ways to measure your social media success is to see how others in your industry are doing it. There are tools available that can track how many times your competition is mentioned on Twitter or Facebook, or how much sharing they’re getting from their posts. One tool that can give you this information is BuzzSumo. Another way to track the competition is to set up a private Twitter list of just your top competitors and make it a daily task to see what they are posting and talking about. Here is an example of a search for “search engine optimization” in the past week. Showing are the articles with the top number of social media posts, sorted by Facebook sharing first. If you were an SEO company that is looking for the topics prospects are most interested in, this is a good tool to use. 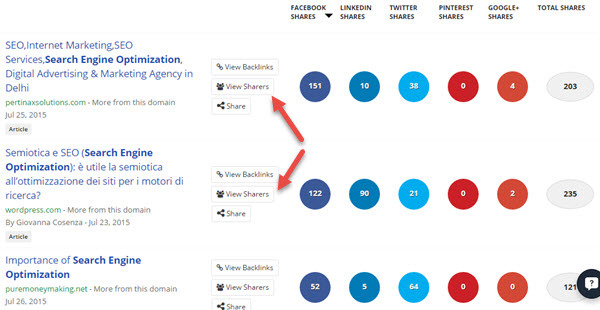 Notice that after you bring up the results you can click on “View Sharers” to see who shared the content. These “sharers” could be prospects to connect with on social media. Many of these techniques can be used simultaneously in the same post. 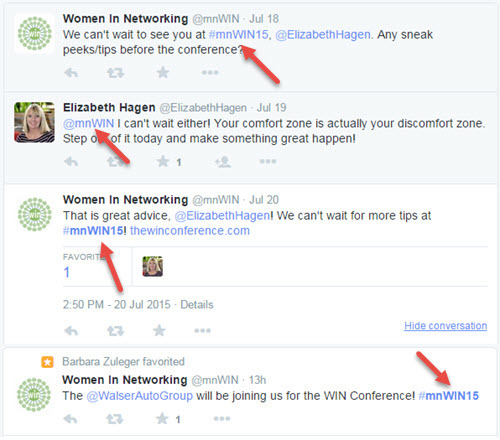 For example, you can hashtag a keyword and @mention a big brand or person for maximum exposure. Doing this doubles your chances of showing up in a search either by keyword or by the direct tag. If you hashtag a topic that is trending, you can almost guarantee to get a decent amount of exposure. There are millions of people and businesses using social media to promote themselves and finding your target audience can be a challenge. If you can effectively use these five ways to find and engage with your target audience on social media, then you are stepping in the right direction of also growing your business.